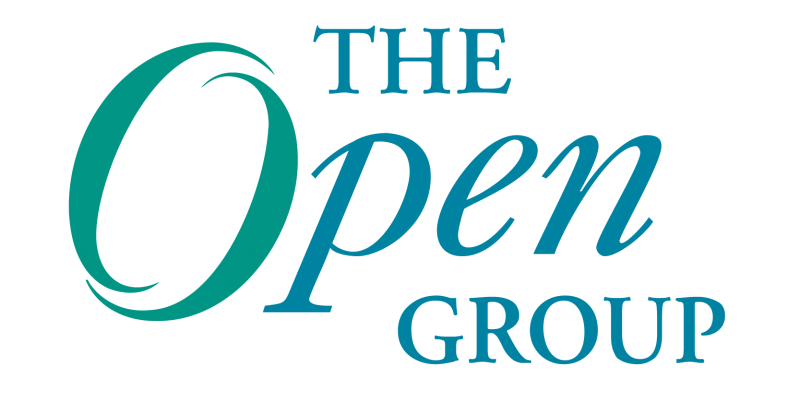 The Open Group is moving to Pearson VUE as its new examination provider for IT certification exams. At the time of writing this article (October 2016), we are in a period of dual operation, with most exams available at both Prometric and Pearson VUE. Through January 31, 2017, you will have the option to take exams at Prometric testing centers, as you have in the past, and must do so if you are holding a Prometric voucher. There’s no change to the exam registration process with Prometric. Effective February 1, 2017, Pearson VUE will be the sole provider of our certification exams. As part of the transition to Pearson VUE, we are changing the registration process. To take an exam at a Pearson VUE testing center, you will need an Open Group web account, even if you plan on registering for an exam by phone or in person, so that we can ensure your certification history is kept in sync. You can register for an Open Group web account at www.opengroup.org (select login). In the rest of this article we cover a number of key questions about the transition. Q: When are The Open Group exams moving to Pearson VUE? A: Most Open Group exams are currently available at Pearson VUE today and the remaining exams will be soon. We are running a dual operation, with many exams being offered at both Prometric and Pearson VUE during this transition period. See our exam registration page for a current listing of where different exams are being offered: https://certification.opengroup.org/take-exam. The Open Group exams will be offered at Prometric through January 31, 2017. After that date, exams will only be available at Pearson VUE. Q: Can I use my exam voucher at either exam provider today? A: No, you must use your voucher at the designated exam provider. If your exam voucher code starts with “OG”, then it is for Pearson VUE, otherwise it must be used at Prometric, for exams scheduled through January 31, 2017. Q: Am I required to have an exam voucher to take an exam at Pearson VUE? A: No, you can also pay by credit card when registering for the exams. Q: How do I know if my exam voucher is for Prometric or Pearson VUE? A: If your exam voucher code starts with “OG”, then it is for Pearson VUE. All other codes are Prometric vouchers. Q: Can I exchange my Prometric voucher for a Pearson VUE voucher? A: No. Prior to January 31, 2017 you should use your Prometric voucher to book an exam at Prometric. Starting February 1, 2017, your Prometric voucher will be automatically accepted at Pearson VUE (if the code starts with any of the following two characters: 23, 50, 93, 95, 96, 98, 2X, 9X, SX, ZC, ZX). You won’t need to exchange your Prometric voucher, you will be able to use it directly within the Pearson VUE exam registration system. Q: Will my Prometric voucher be accepted at Pearson VUE? A: If you received your voucher from an Open Group Accredited Training Course Provider, then yes, your Prometric voucher will be accepted at Pearson VUE after January 2017. If your voucher is valid and unused, then starting February 1, 2017 you will be able to use you voucher to book an exam with Pearson VUE. Prometric vouchers beginning with any of the following two characters: 23, 50, 93, 95, 96, 98, 2X, 9X, SX, ZC, ZX will be automatically usable at and accepted for exam registration at Pearson VUE after January 31, 2017. If your voucher begins with any of the following two characters: ER, G2, G3, GP, or P2, then NO, your voucher will not be accepted at Pearson VUE. These vouchers must be used at Prometric by January 31, 2017. Q: How do I use my Prometric voucher at Pearson VUE? A: Starting February 1, 2017, if your Prometric voucher is unexpired and unredeemed, you will be able to use it directly when registering at Pearson VUE. Go to https://certification.opengroup.org/take-exam for instructions on how to register. When you get to the payment screen, enter your Prometric voucher number. Q: What do I do if my Prometric voucher expires after January 31, 2017? If you have one of the above voucher codes and wish to take your exam before February, you must schedule your exam at a Prometric test center. Any vouchers starting with code ER, G2, G3, GP, or P2 that are not used by January 31, 2017 will cease to be valid. Q: Can I use my Prometric voucher to register in January for an exam in February? A: No. Your Prometric voucher will not be accepted at Pearson VUE until February 1, 2017. Q: If I failed the Combined exam at Prometric, can I retake the failed part at Pearson VUE? A: Yes, you can retake the failed part at Pearson Vue. If the account you use to log in to Pearson VUE contains the email address you used when you took your exam at Prometric, then we will be able to match your new exam results to your prior results. See our Pearson VUE Frequently Asked Questions for more information about taking an exam at Pearson VUE or our exam registration page to Register for an Exam at Pearson VUE. Andrew Josey is VP, Standards and Certification overseeing all certification and testing programs of The Open Group. He also manages the standards process for The Open Group. Deborah Schoonover is the Director of Certification at The Open Group, responsible for the development and operation of The Open Group’s certification and accreditation programs. In this role, she engages with various working groups to define each program and the policies and legal documents that underpin the program, defines the business requirements for and oversees development of the underlying software systems, and oversees operational delivery of the certification services. Prior to joining The Open Group, Deborah held development, quality management, and marketing roles at Cadence Design Systems. Deborah holds a Bachelor of Science degree in Computer Science from Lehigh University and a Master of Business Administration (MBA) degree from Boston University.